I’ve been running! I guess I need to recap my last week since I posted. …at Redwood Regional, with about 2400 feet of elevation change (damn Runmeter GPS app only accounted for 6.86 miles and like 1900 feet of elevation changes- I seriously need an app that friggin’ works consistently). Anyway, this run was super fun, and it was the first 10+ I did since I got hurt. Adding all that elevation change into the mix, it’s like I ran 15+. My calves were not happy, but the rest of me was. It was cold and I didn’t listen to music’, ‘twas just me and the birds. …all flat. Ran down Telegraph into Berkeley, right on Russell back to College, College all the way to Shafter, Shafter to 41st and back home. …same as Tuesday, except I ran all the way to Haste (near Amoeba Records) to see all the fire damage from that big blaze last week. Telly is still all blocked off I guess. 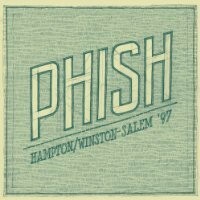 Listened to the new Phish release; it’s on Spotify, and it’s that ‘97 funky stuff (if you know what I mean). This was my first time around the lake in a while, ran up 41st to Piedmont, over that hill on Linda down to Grand, down Grand to the movie theater, make left, right onto Lakeshore and circumnavigate the lake. I’m fighting a head cold so my sense of smell is off, I’m happy to report the lake wasn’t all stank funky. This entry was posted in Uncategorized and tagged Berkeley, oakland, phish, running. Bookmark the permalink.